A new season begins Thursday, September 14! An exciting new season begins Thursday, September 14! Young singers ages 7-12 will meet at Emmanuel Episcopal Church in Petoskey from 5:30pm-6:30pm. 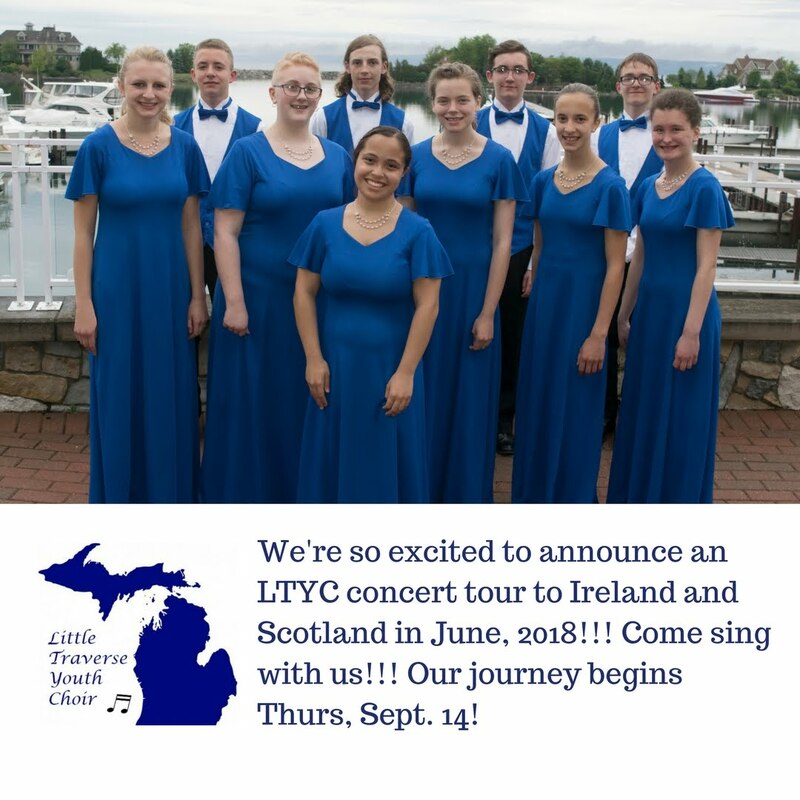 Youth Choir singers ages 13-19 will meet at Cross of Christ Lutheran Church at 1450 East Mitchell Street in Petoskey. Singers and their parents will meet from 6:30pm-7:30pm to discuss the season. LTYC director, Mr. Kevin Wells has asked that newsingers arrive at 6:00pm so he can touch base with them and hear them sing a bit. This is not an audition. It is a chance for Mr. Wells to hear how the singer will best fit into our group. Beginning on Thursday, September 21, the Youth Choir rehearsals will be held from 6:00pm-8:00pm at Cross of Christ Lutheran Church. Parents will not need to stay for these rehearsals. Voices Without Borders is grateful to both Emmanuel Episcopal Church and Cross of Christ Lutheran Church for graciously providing rehearsal space for our Treble and Youth Choirs!